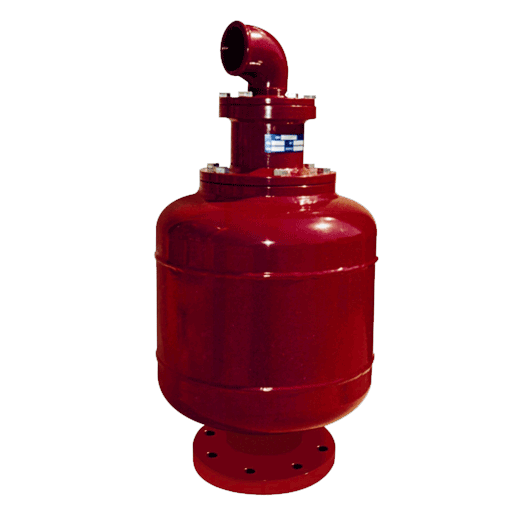 350 Sewage air valve is suitable for the bulk release or ingress of air whilst filling or draining the line and the release of trapped air whilst the line is under operating pressure. Non-return device can be screwed into the valve outlet to prevent the ingress of air. By limiting the speed of the air release, the risk of water hammer can be eliminated.